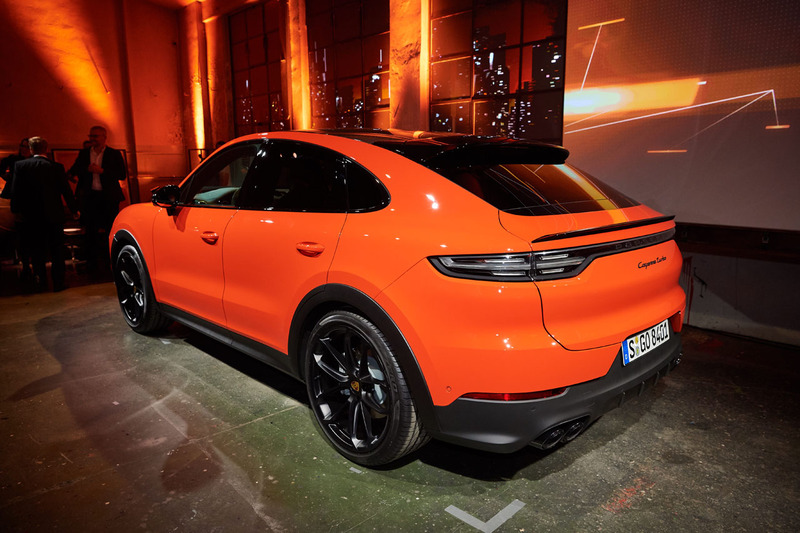 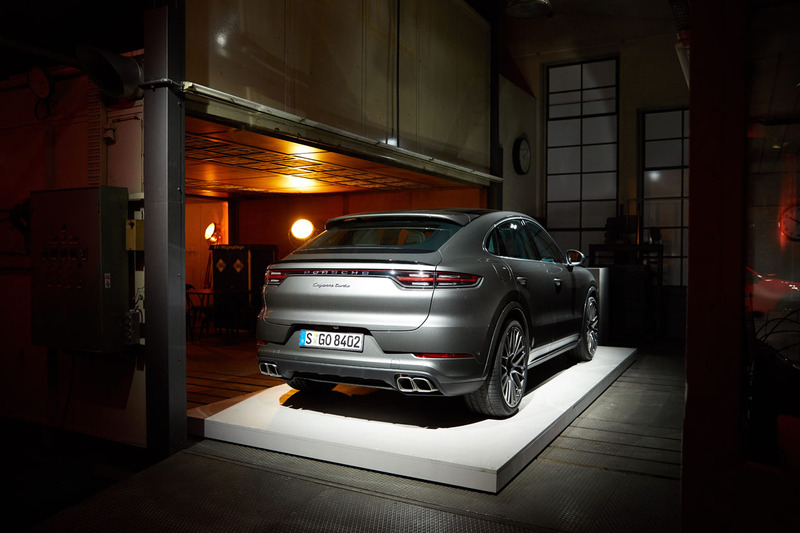 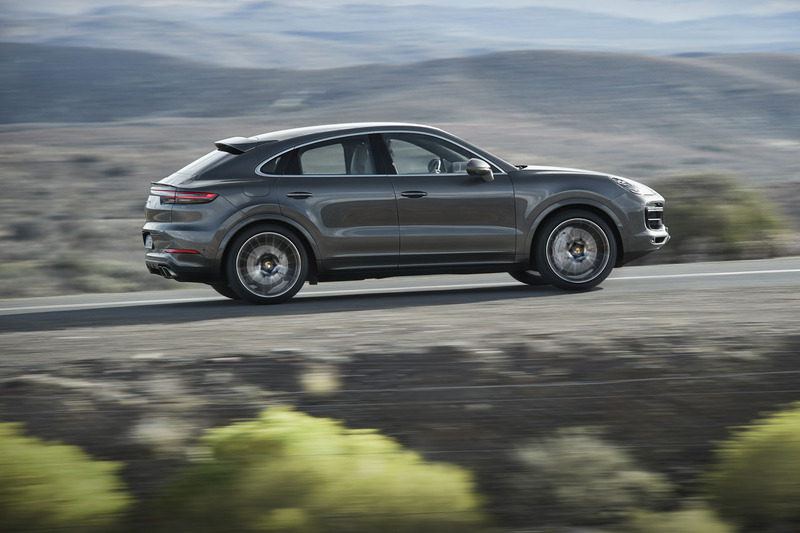 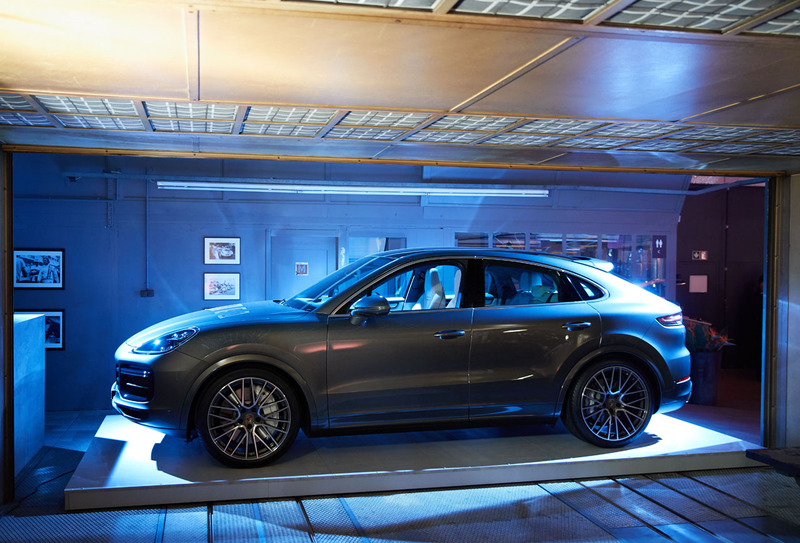 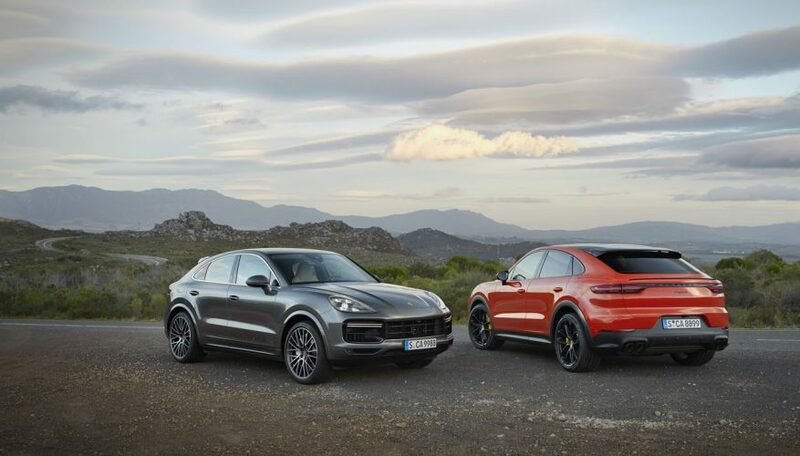 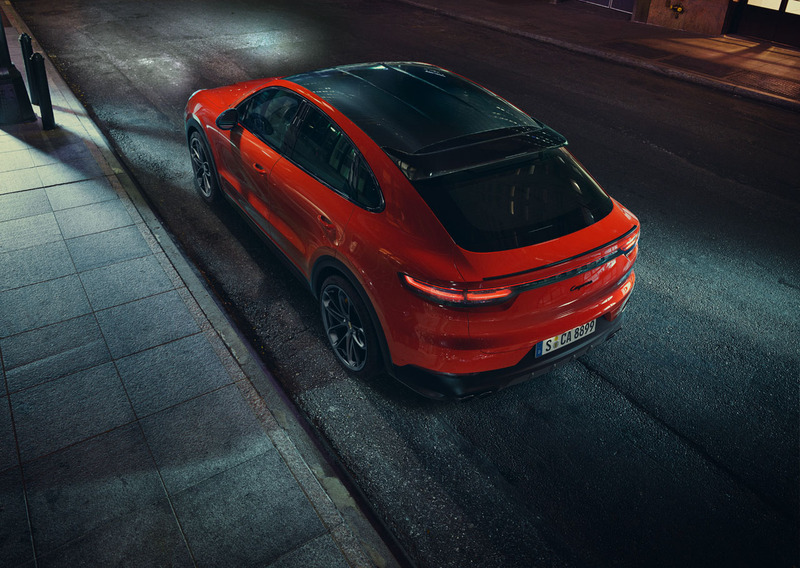 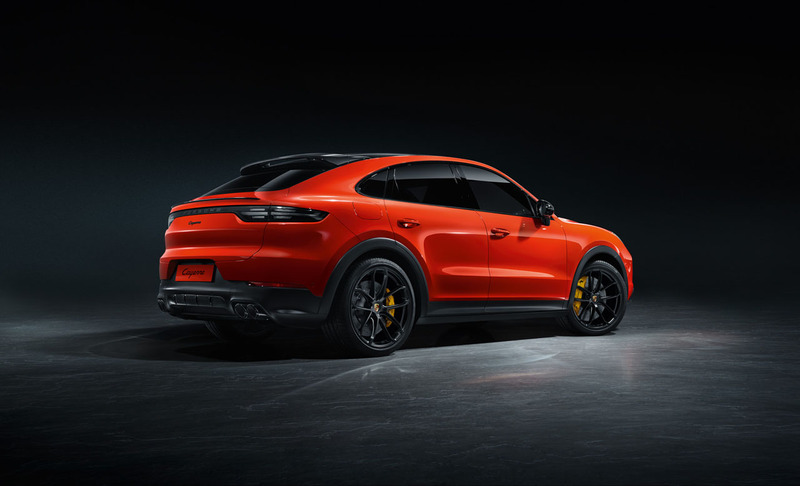 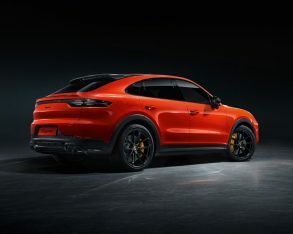 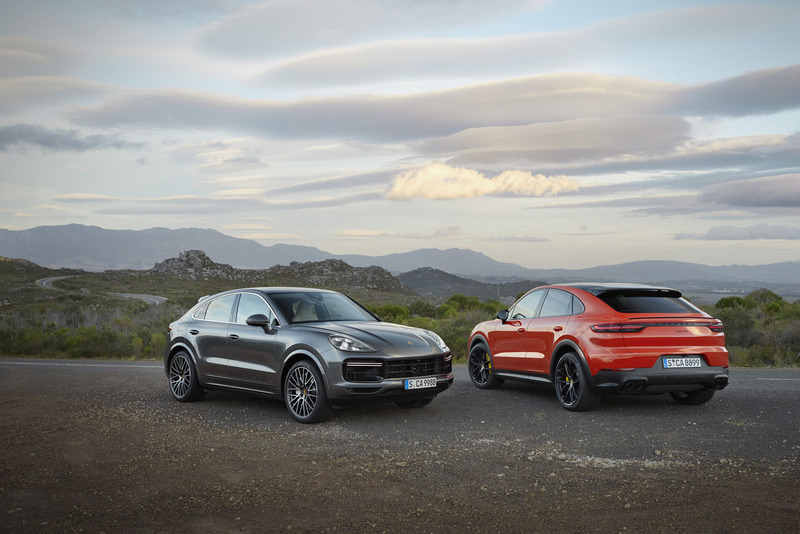 The Cayenne has long been respected as one of the sportiest crossover SUVs in the entire automotive industry, both in performance and styling, but that hardly held Porsche back from joining the crossover coupe fray, evidenced by the all-new 2020 Cayenne Coupe. 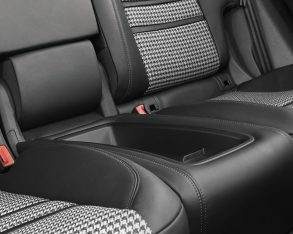 Prior to the Cayenne’s arrival in 2002, BMW’s X5 firmly held the sportiest SUV mantle, but at least from a design perspective the Bavarian automaker arguably took that title back in 2007 with the introduction of the X6 Sports Activity Coupe, a model that ushered in an entirely new niche market segment. 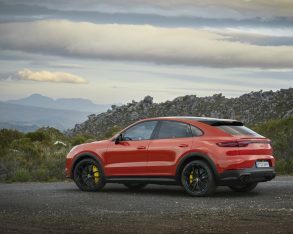 The brave albeit short-lived Acura ZDX quickly followed the X6 in 2009, after which came the Mercedes-Benz GLE-Class Coupe in 2015, the Lamborghini Urus in 2017, and the Audi Q8 last year. 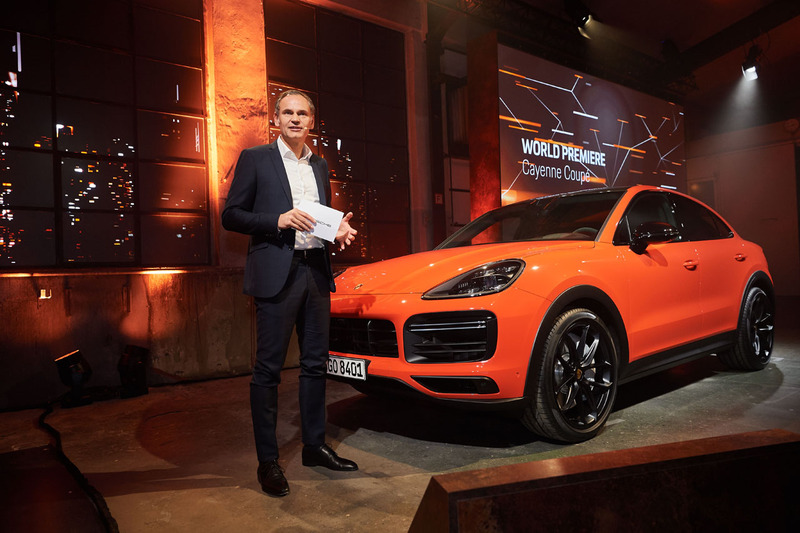 Being that the latter two, along with Audi’s Q7, Bentley’s Bentayga, and Volkswagen’s own Touareg, share VW group’s MLBevo platform architecture, this Cayenne Coupe’s arrival was only a matter of time. 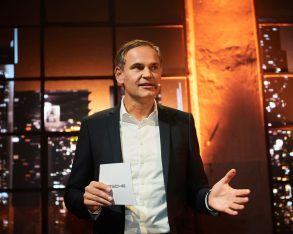 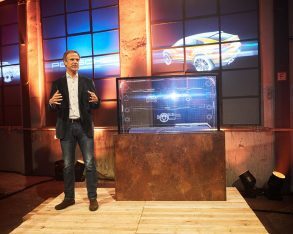 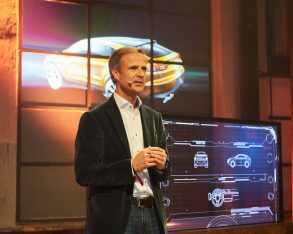 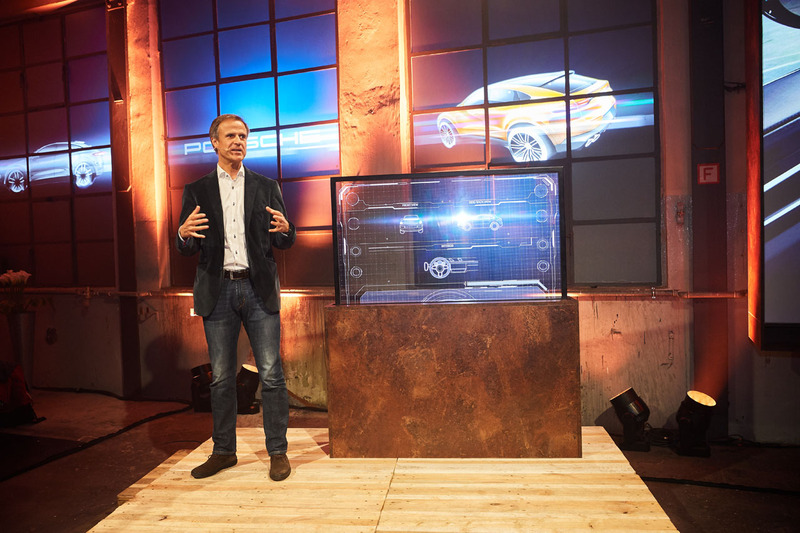 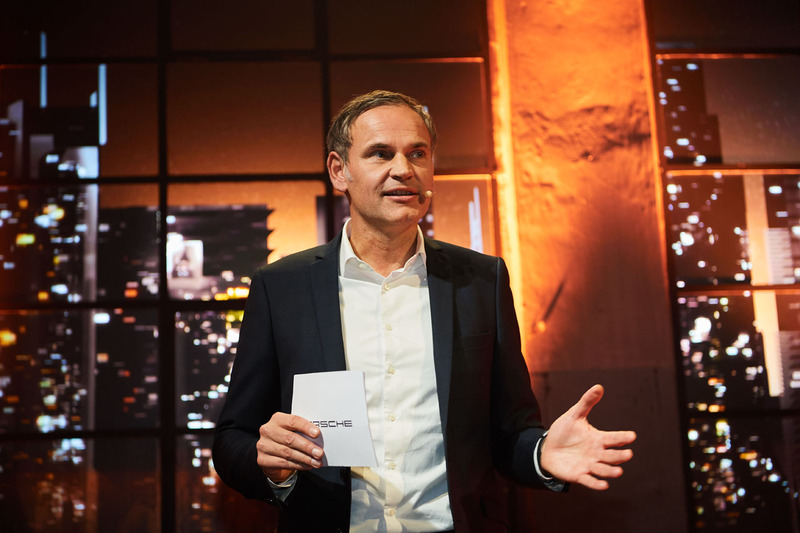 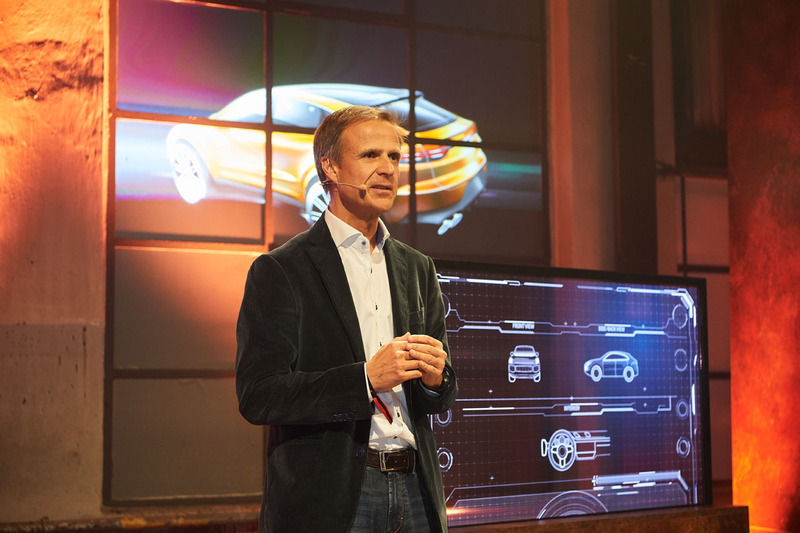 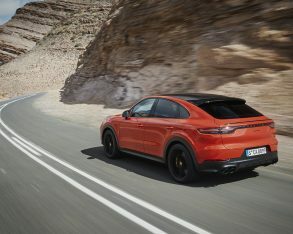 More importantly, it could very well become the most successful of the three VW group luxury crossover coupes, let alone all others in this uniquely positioned slice of the luxury SUV market due to Porsche’s enormous brand power and seemingly forever rising star. 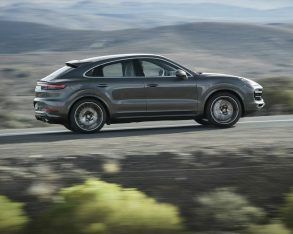 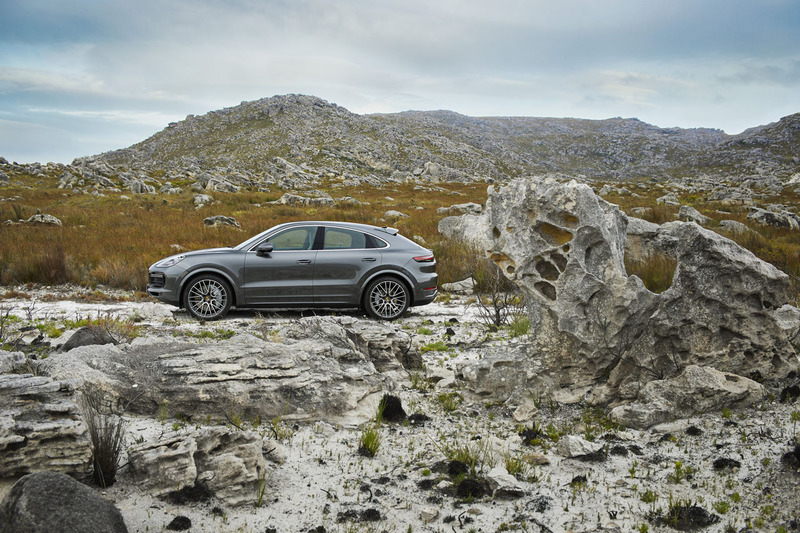 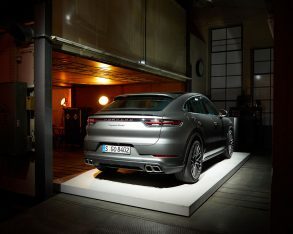 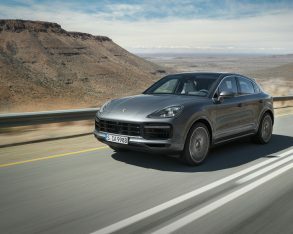 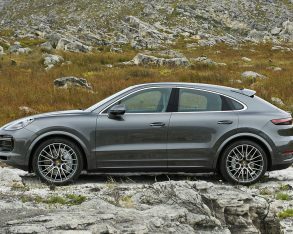 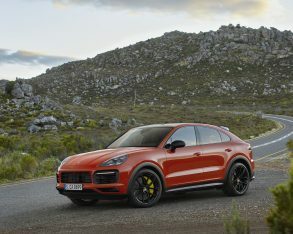 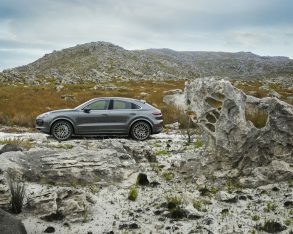 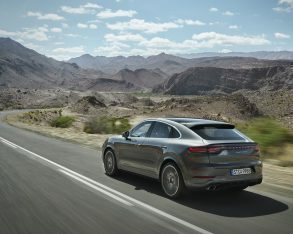 Whether you think of the new Coupe as a sportier Cayenne with less cargo space, or alternatively as a raised Panamera with a more rugged personality and better off-road prowess, the new model also provides Porsche with the opportunity to grow the size of its traditional Cayenne when the next generation arrives, if it so chooses, just like BMW has made its X5 more family friendly over the years, even adding a third row. 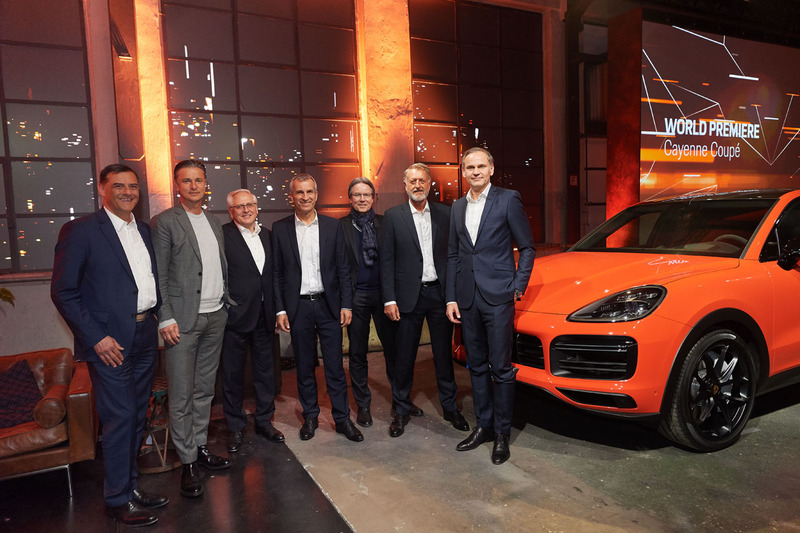 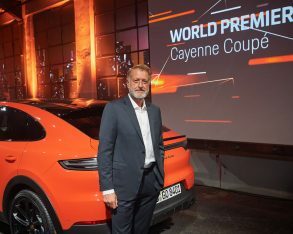 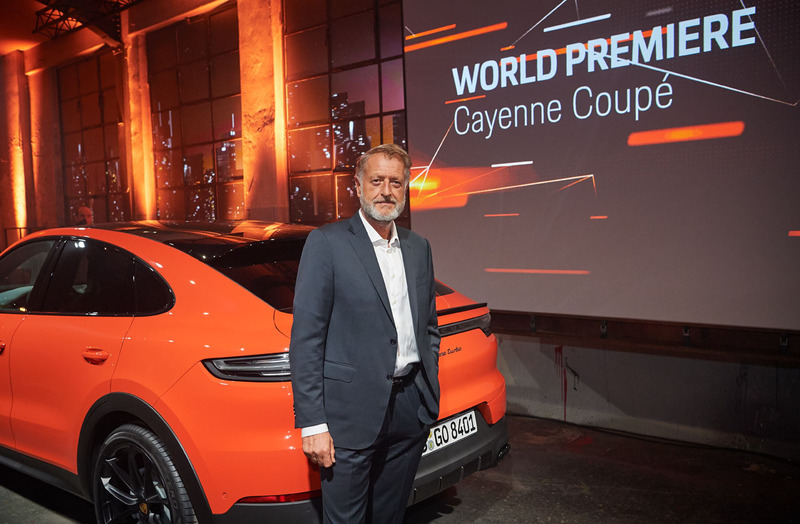 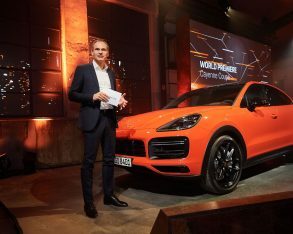 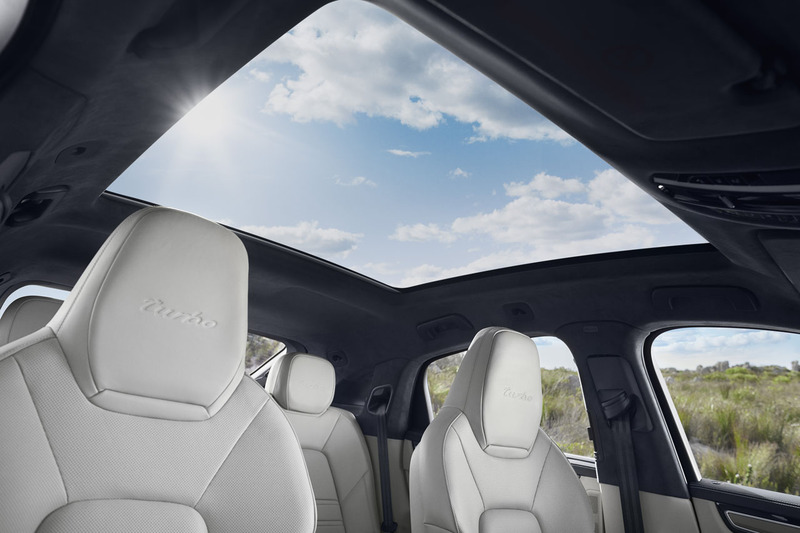 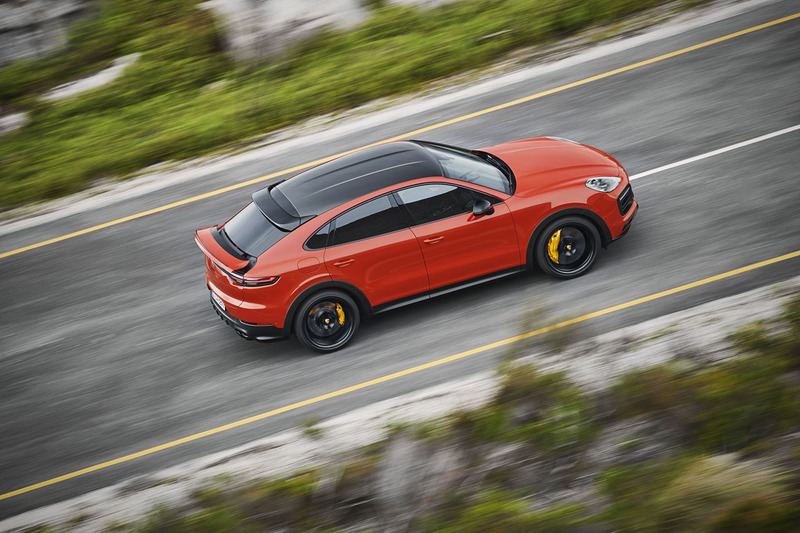 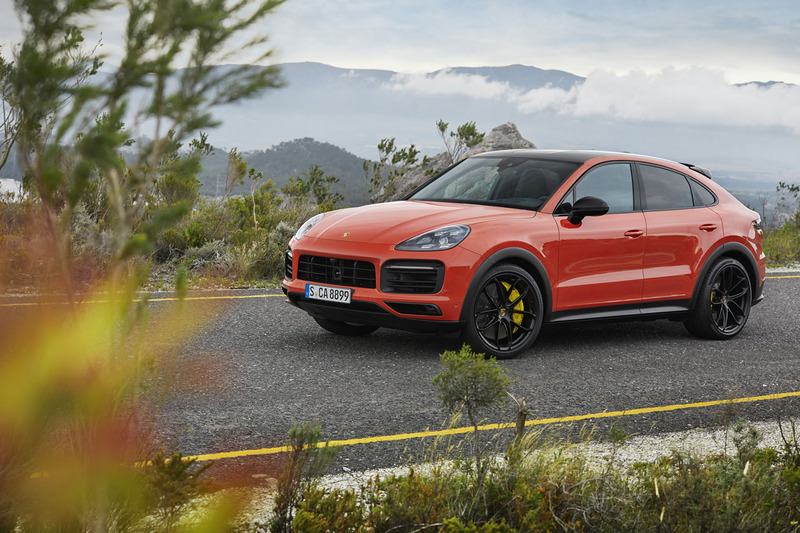 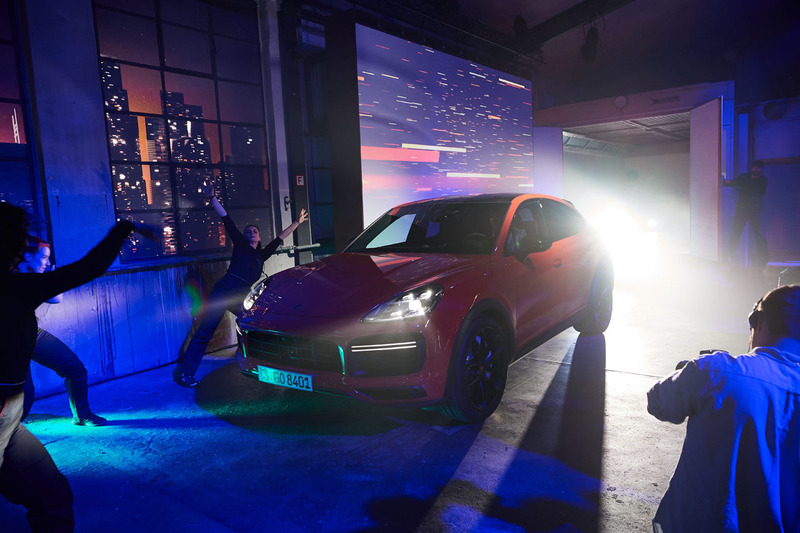 “The significantly more steep roof line that falls away to the rear makes the Cayenne Coupé appear even more dynamic, and positions it as the sportiest-looking model in the segment,” added Michael Mauer, Vice President Style Porsche. 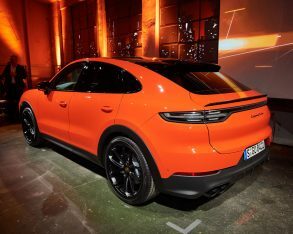 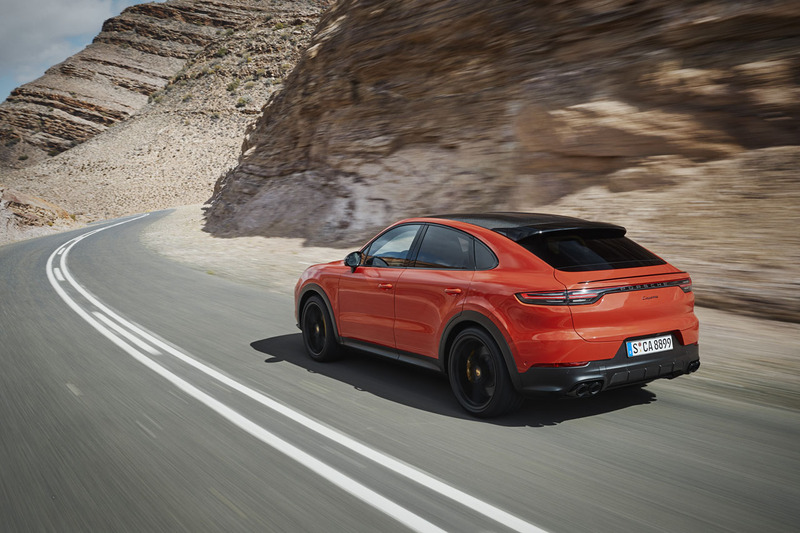 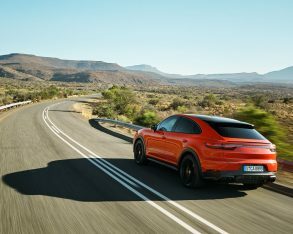 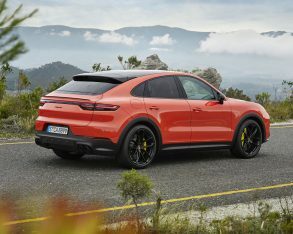 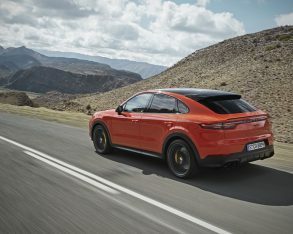 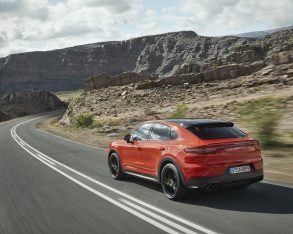 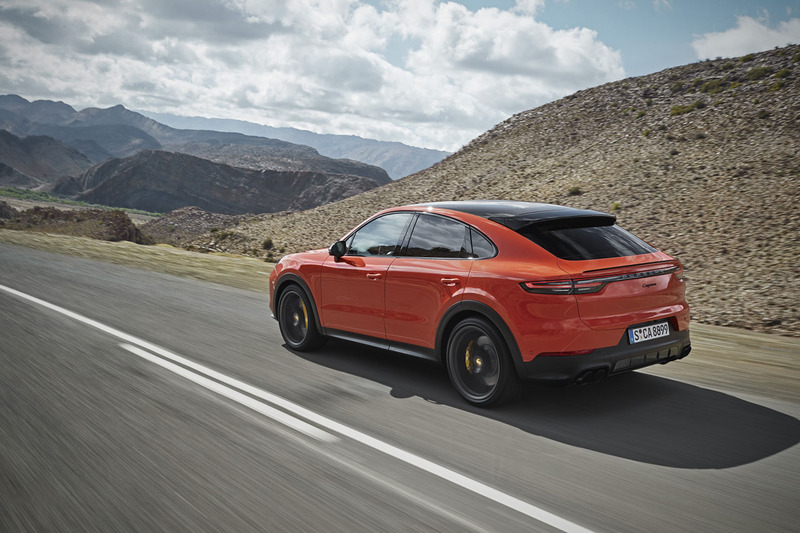 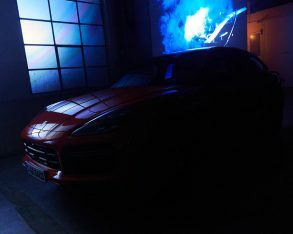 To be clear, everything below the new Coupe’s 20-millimetre lower roofline, which includes a new front windscreen and shallower A pillars, is pretty much 2020 Cayenne, other than its much more tapered rear side windows, reshaped second-row doors, new rear quarter panels, and a revised back bumper, the latter of which now includes an integrated license plate holder. 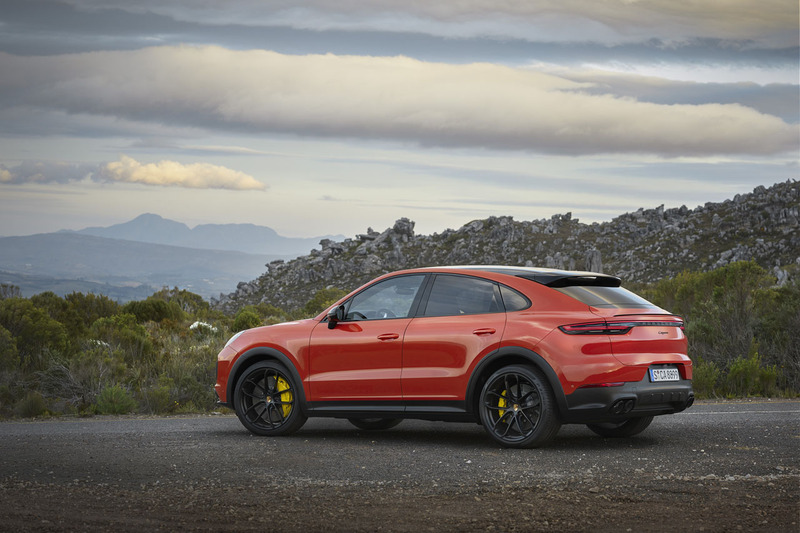 The result is a slight 19-mm (0.7-inch) increase in overall width, which along with the lower ride height adds to its more aggressive stance. 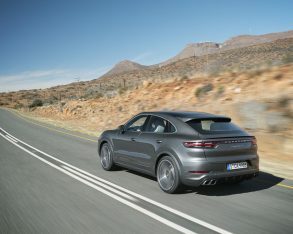 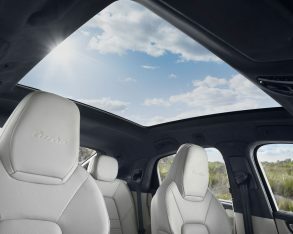 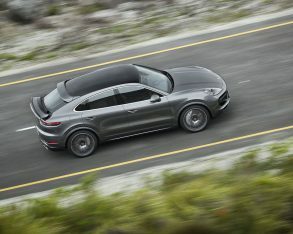 Additional Cayenne Coupe highlights include an adaptive rear deck lid spoiler, individual rear seats split by an open centre console bin, plus two different roof choices that include a standard 2.16-cubic-metre fixed glass panoramic sunroof with an integrated roller blind, or an optional carbon-fibre panel. 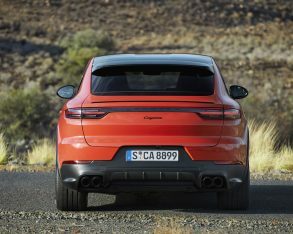 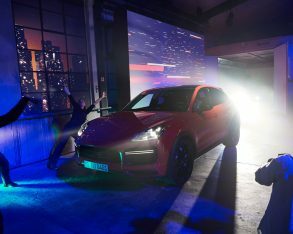 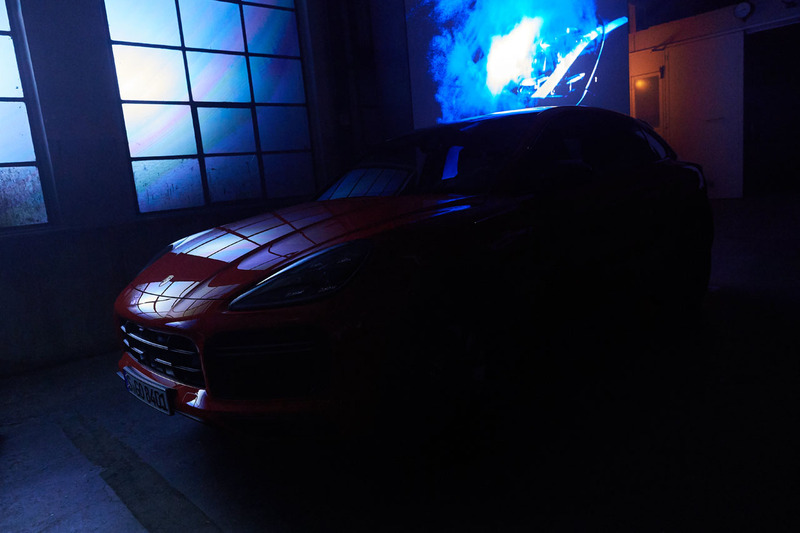 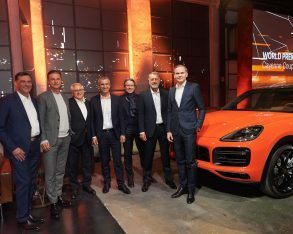 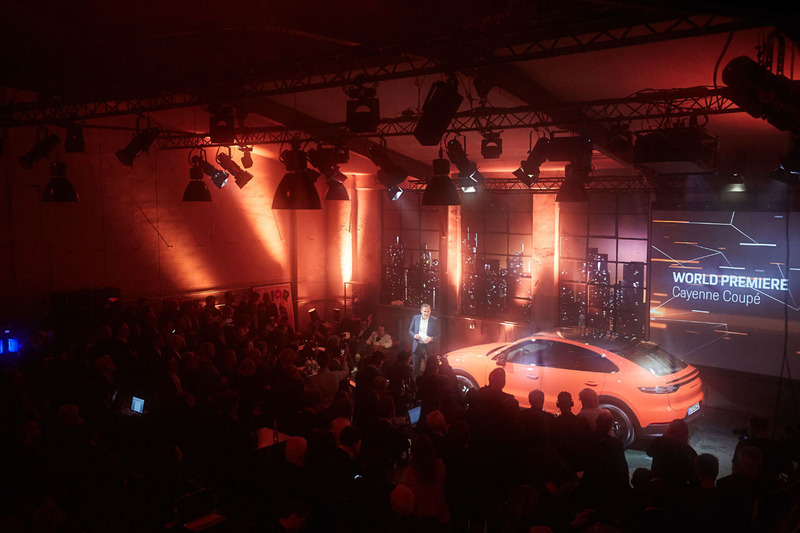 Like with the regular Cayenne, the Cayenne Coupe will be first to its market segment with an adaptive rear spoiler, the former SUV using a roof-mounted version for its top-line Turbo model. 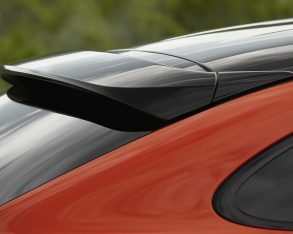 The active aerodynamic aid comes standard with the new Coupe, extending by 135 mm (5.3 inches) when the SUV hits 90 km/h. 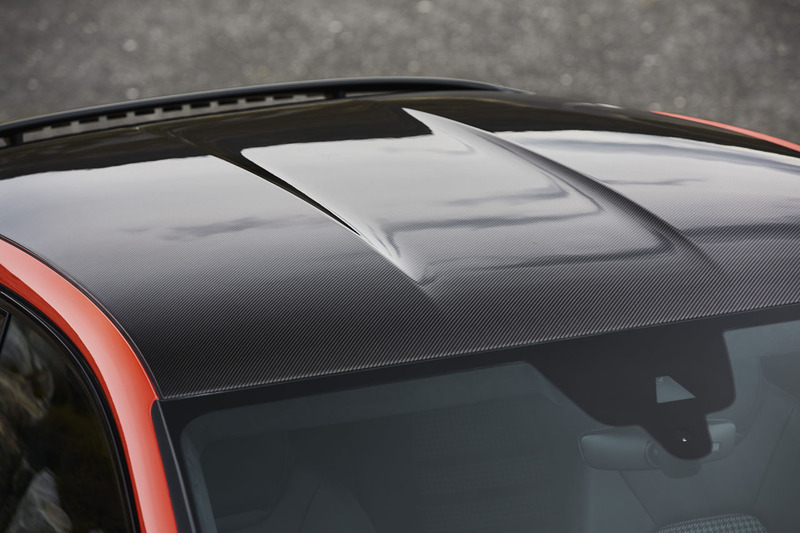 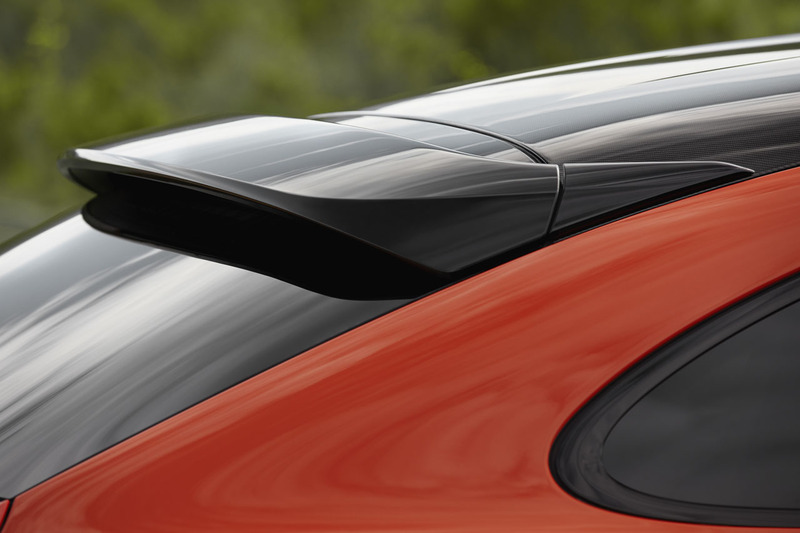 In addition, a smaller rooftop spoiler joins the active rear deck lid spoiler to optimize airflow. 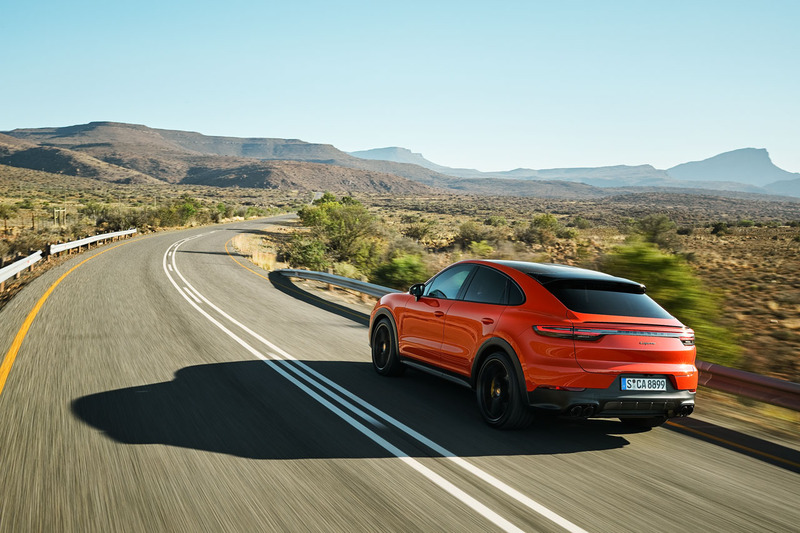 The system, which is dubbed Porsche Active Aerodynamics (PAA), both increases downforce on the rear axle to improve handling, and improves high-speed aero efficiency for less wind noise and better fuel economy. 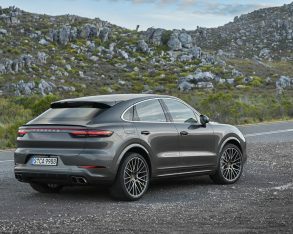 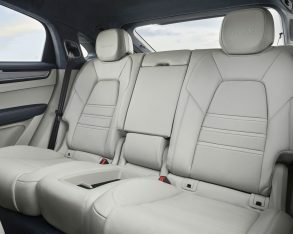 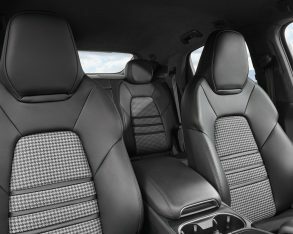 Incidentally, if you want your Cayenne Coupe with a carbon roof you’ll need to opt for one of three lightweight sports packages, which also include various Sport Design features, special 22-inch GT Design wheels, classic hound’s-tooth Pepita checked fabric seat inserts, plus carbon and suede-like Alcantara interior accents. 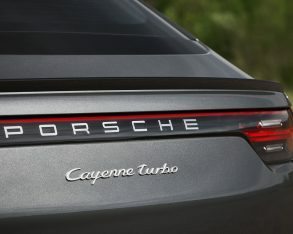 Additionally, the Cayenne Coupe Turbo gets a sport exhaust system. 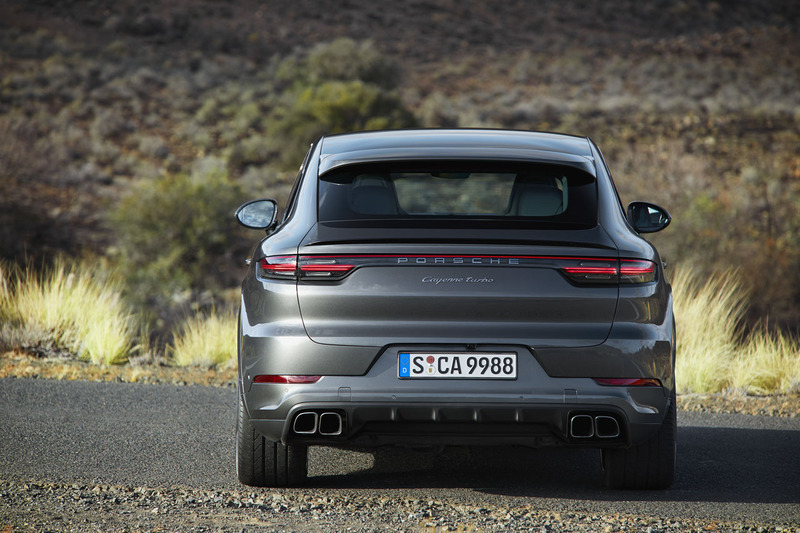 That upgraded exhaust manages waste gases for the same twin-turbocharged 4.0-litre V8 engine as the regular Cayenne SUV, which is good for 541 horsepower and 567 pound-feet of torque. 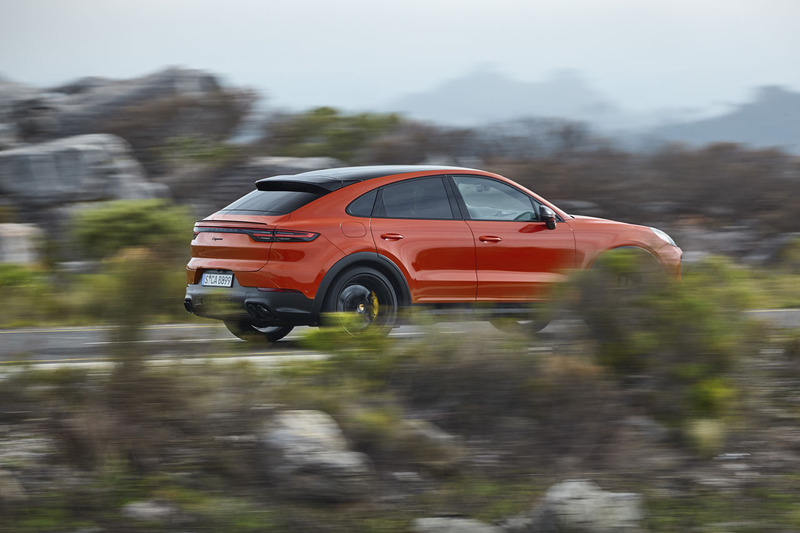 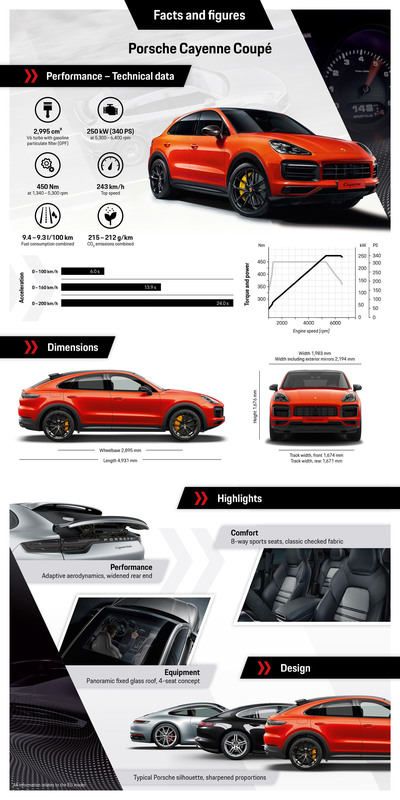 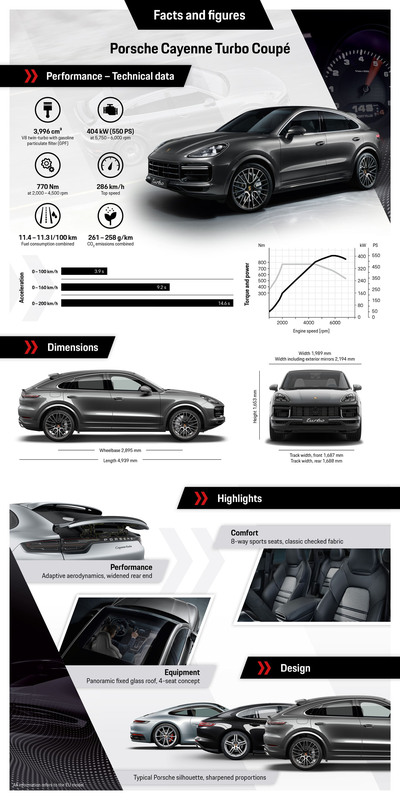 With an official zero to 100km/h sprint time of 3.9 seconds the new Cayenne Coupe Turbo’s acceleration will only be bested by the aforementioned 650-horsepower Lamborghini Urus that manages the feat in just 3.6 seconds, leaving the 567-horsepower X6 M and 577-horsepower AMG-Mercedes GLE 63 S Coupe needing 4.2 seconds apiece to achieve the same feat. 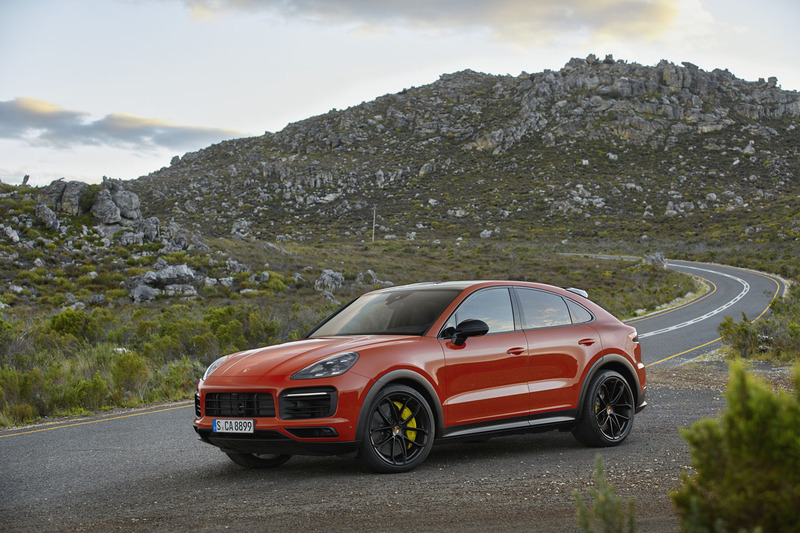 Of note, the smaller 503-horsepower AMG-Mercedes GLC 63 S Coupe zips from standstill to 100km/h in just 3.8 seconds, while the identically powerful BMW X4 M requires 4.1 seconds to hit the same mark. 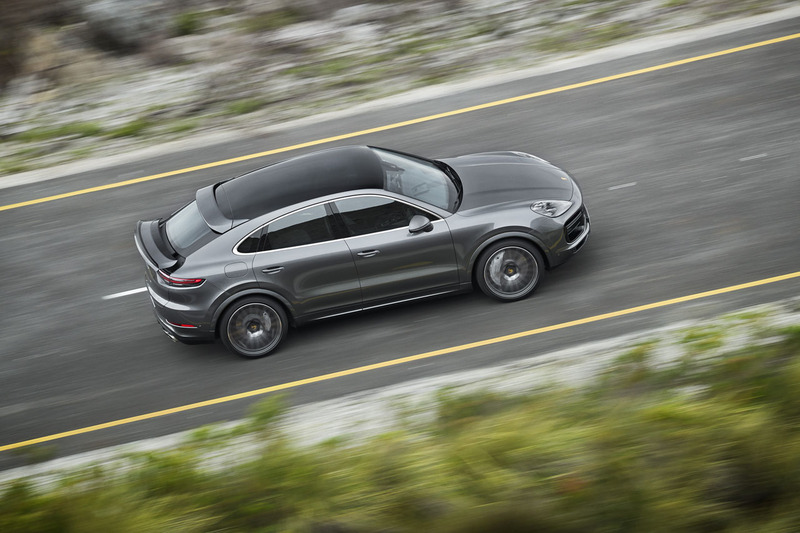 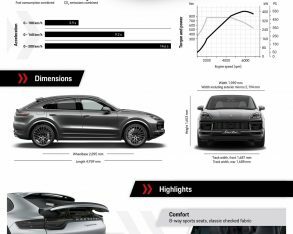 Incidentally, the Cayenne Coupe Turbo gets a claimed terminal velocity of 286 km/h. 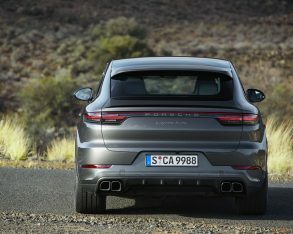 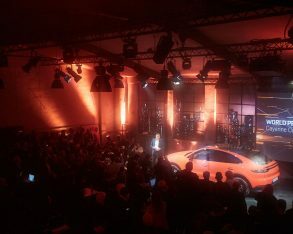 If you’re wondering where Audi’s new Q8 fits into the realm of slant-back SUVs, with one sole 335 horsepower turbocharged 3.0-litre V6 at its beck and call it’s clearly targeting the entry-level portion of the mid-size luxury sport utility coupe segment, and to that end the new base Cayenne Coupe comes fitted with identical output to the Audi, plus the same as found in the standard Cayenne. 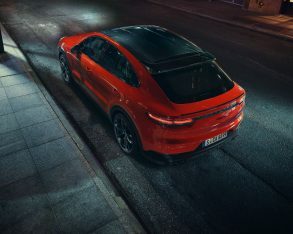 The entry model’s turbocharged 3.0-litre V6 is therefore good for 335 horsepower and 332 lb-ft of torque, which allows for a 6.0-second run from naught to 100km/h in standard guise, or 5.9 seconds with one of its lightweight sports packages—the Sport Chrono Package comes standard across the entire Cayenne Coupe line. 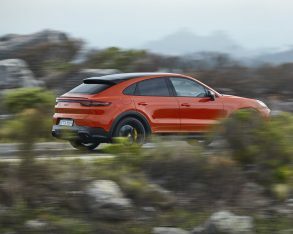 Interestingly, Porsche claims 5.9 seconds to 100km/h for the regular base Cayenne when fitted with its Sport Chrono Package, which actually makes it 0.1 seconds quicker than the new Coupe. 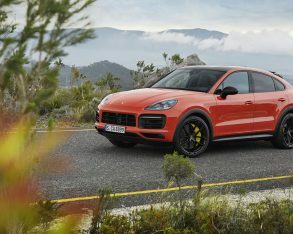 Likewise, the base Cayenne has a top speed of 245 km/h, whereas the entry-level Coupe’s terminal velocity is a claimed 243-km/h. 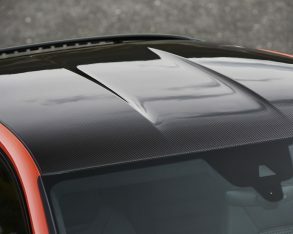 Splitting hairs? 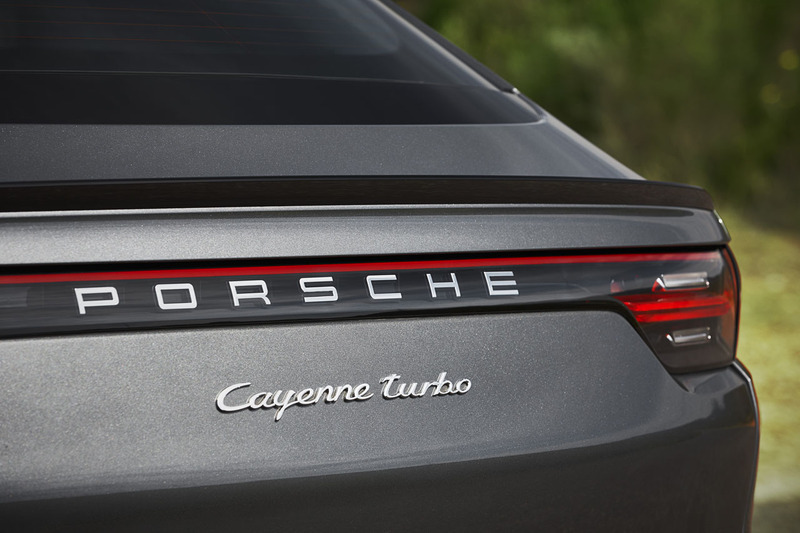 Of course, but that’s par for the course in this high-priced, high-performance game. 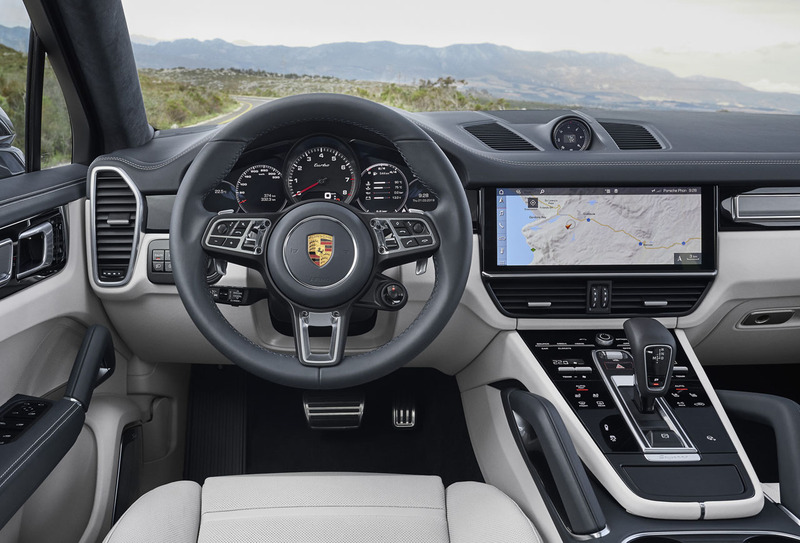 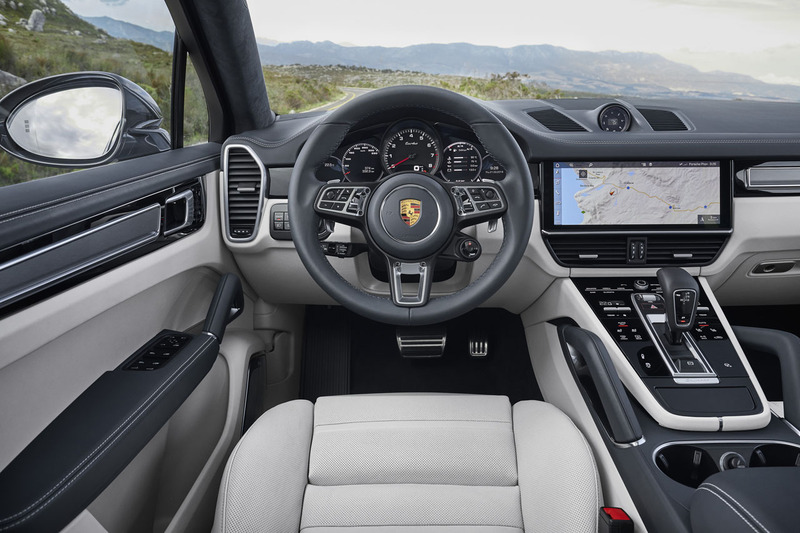 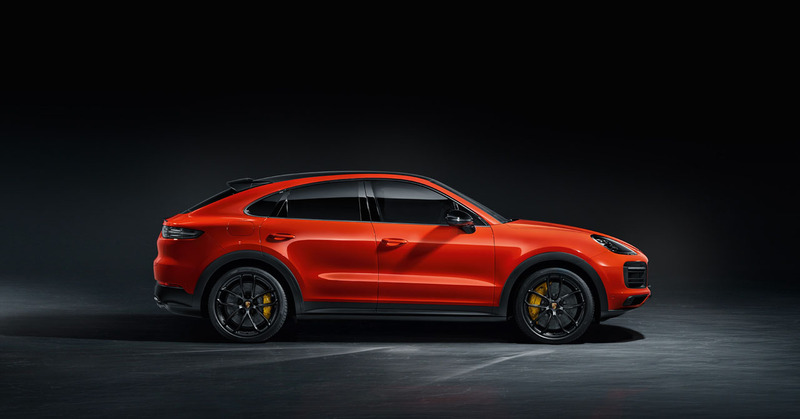 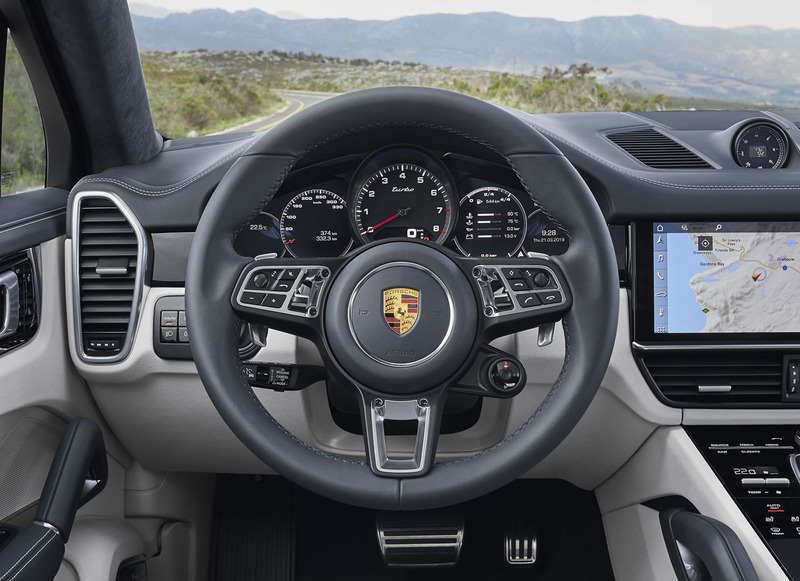 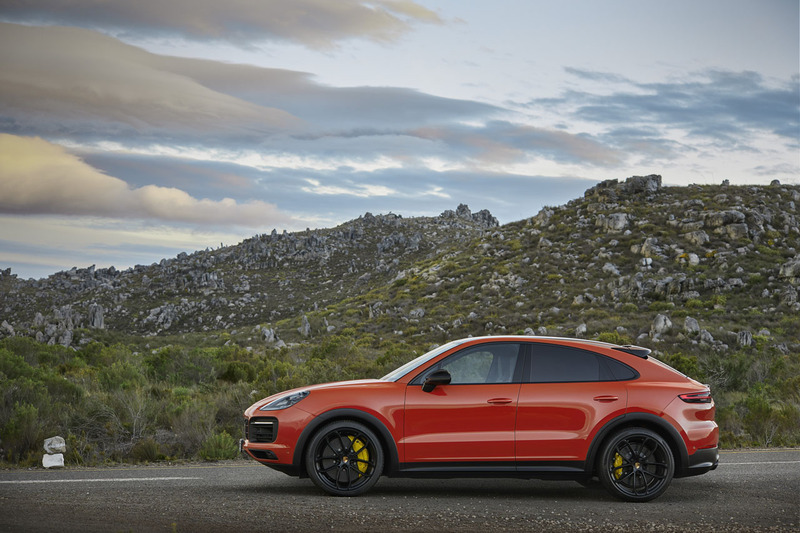 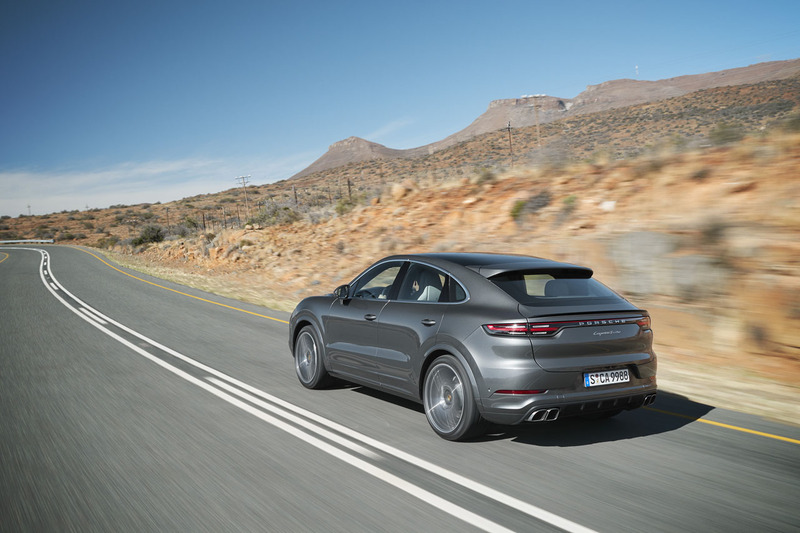 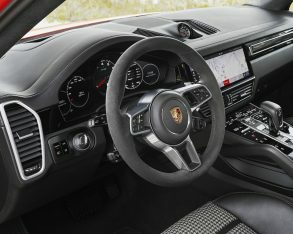 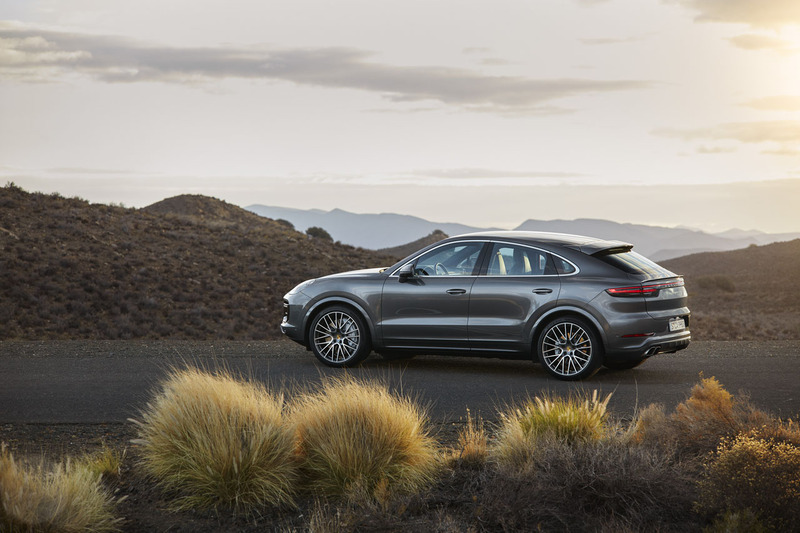 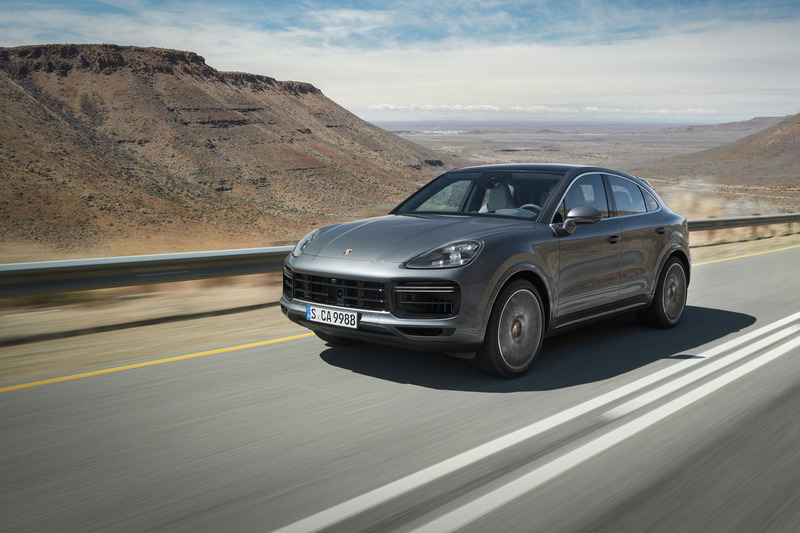 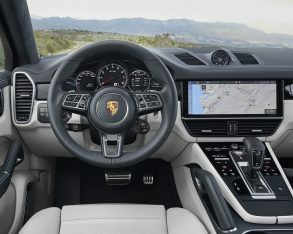 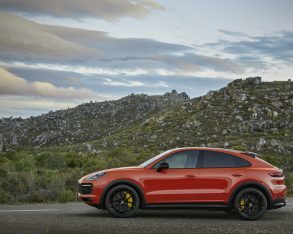 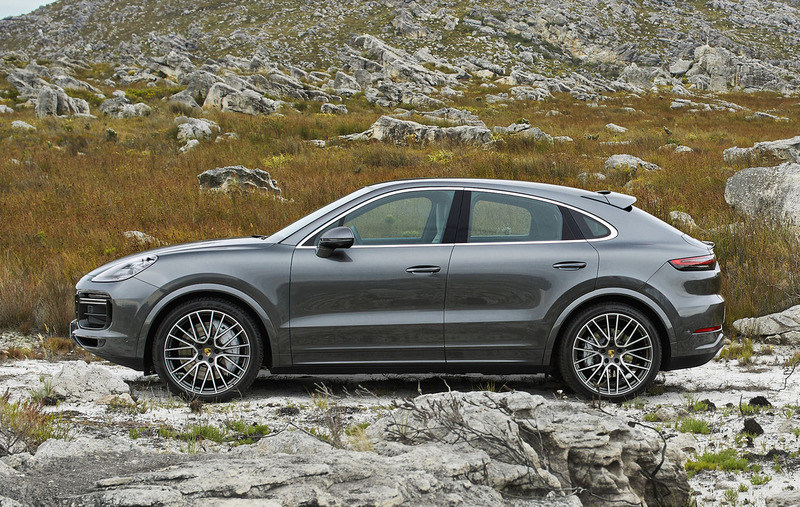 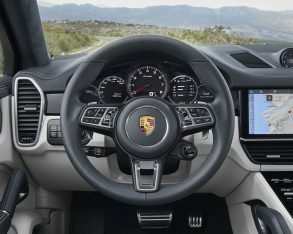 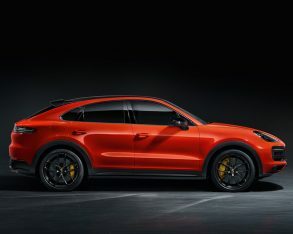 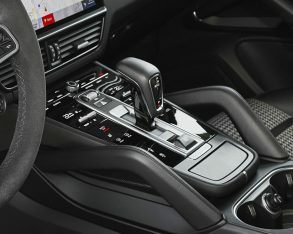 Additional standard equipment on the new Coupe includes speed-sensitive Power Steering Plus, Porsche Active Suspension Management (PASM), and 20-inch alloy wheels, all costing more with the regular Cayenne. 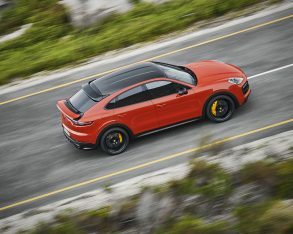 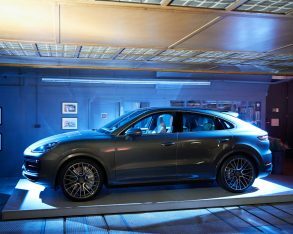 Pricing in mind, the 2020 Cayenne Coupe will start at $86,400 plus freight and fees, whereas the Cayenne Coupe Turbo will be available from $148,000. 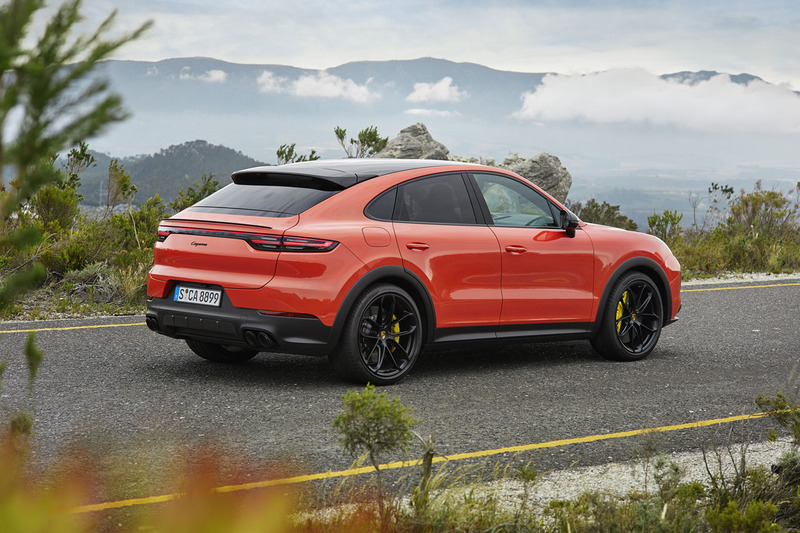 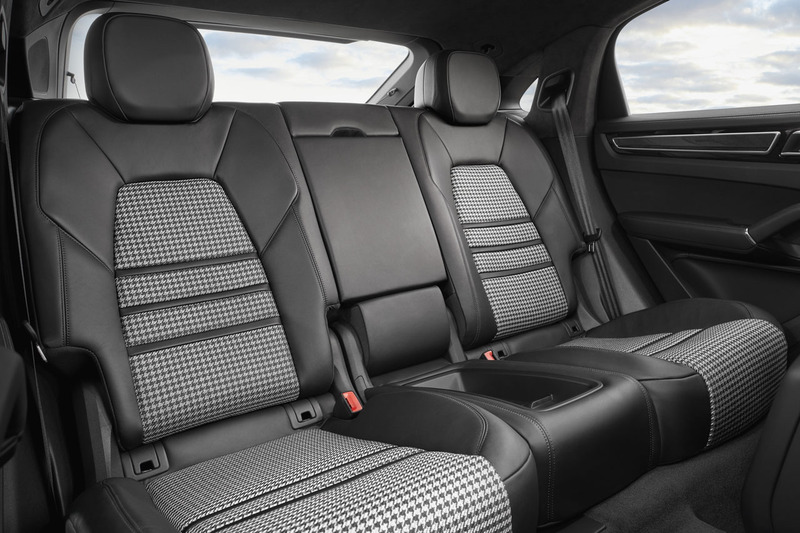 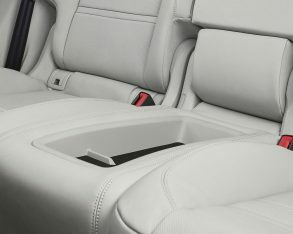 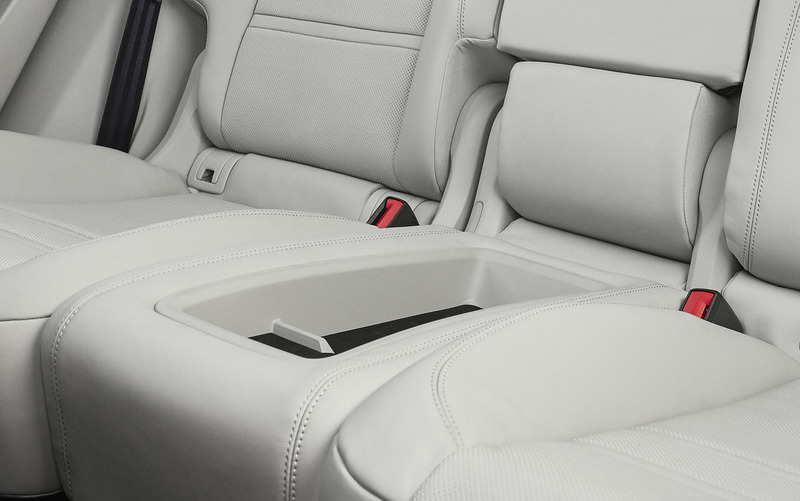 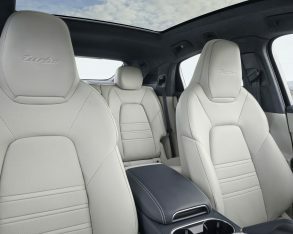 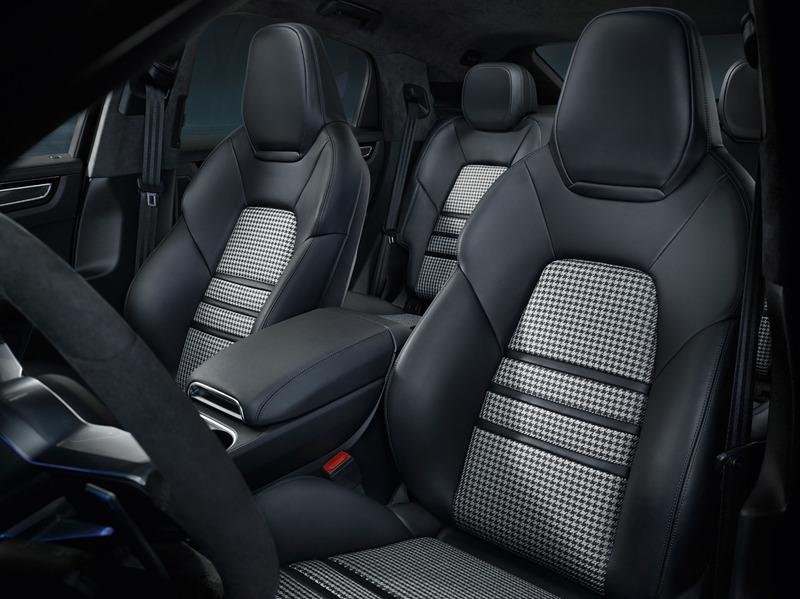 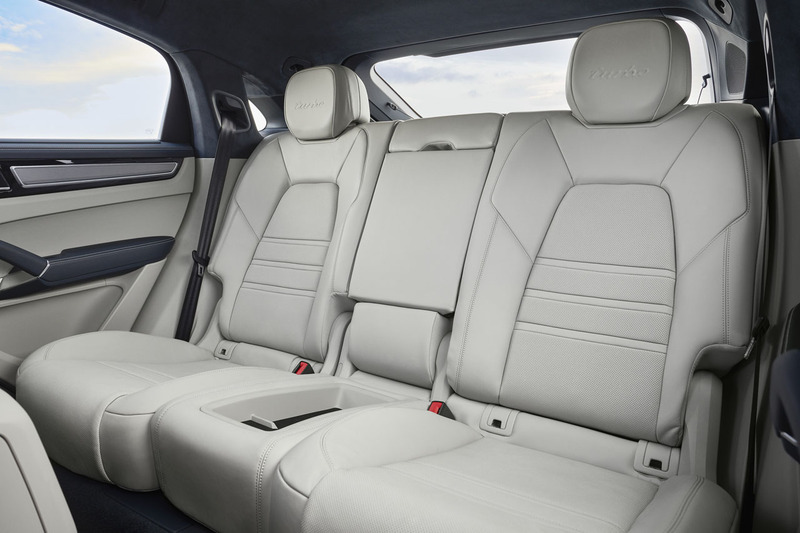 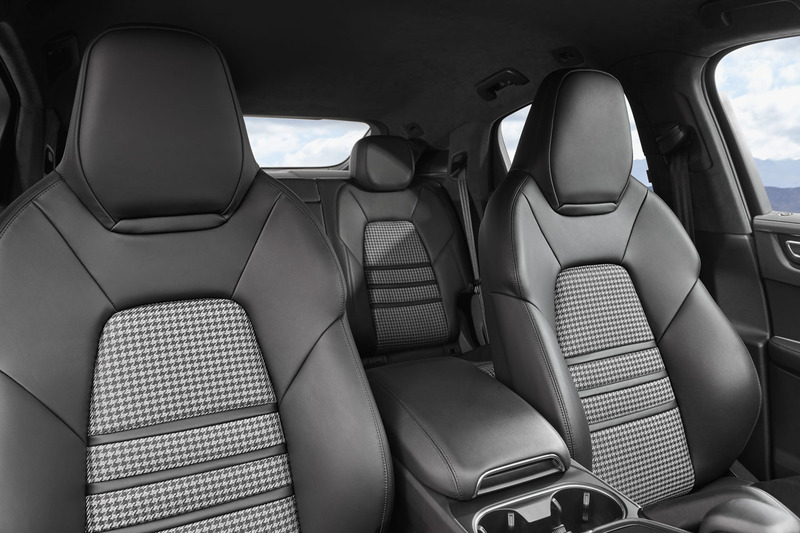 Other notable changes from regular Cayenne to Coupe form include a sportier set of eight-way power-adjustable performance seats with more pronounced side bolsters, while rear passengers will sit 30 mm (1.18 inches) lower to allow for extra headroom. 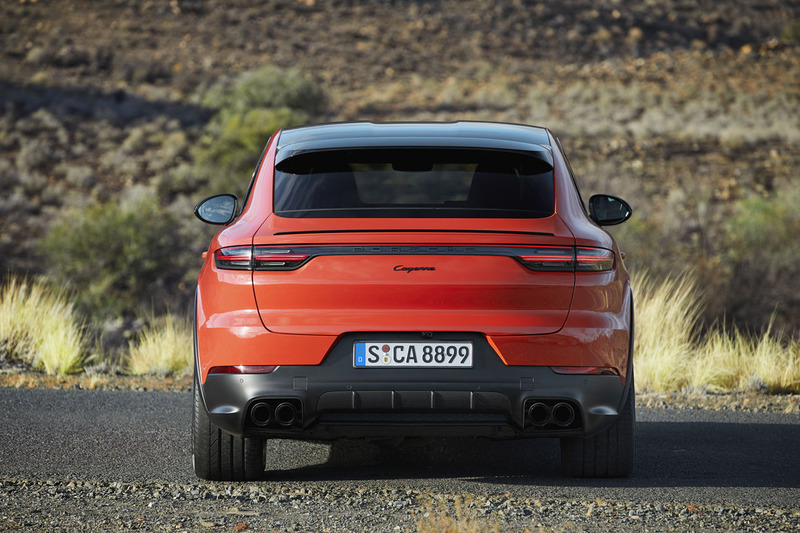 As noted earlier, that tapered roofline also negatively impacts the Cayenne Coupe’s cargo capacity, but it’s only off by 145 litres (5.1 cubic feet) compared to the regular Cayenne, the base Coupe good for 625 litres (22.0 cu ft) behind its 40/20/40 split-folding rear seatbacks and the larger model capable of 770 litres (27.2 cu ft). 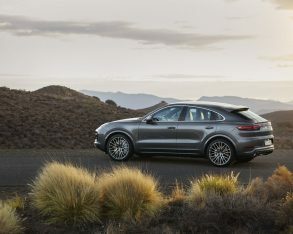 Lowering the second row opens up 1,540 litres (54.4 cu ft) of gear-toting space compared to 1,710 litres (60.4 cu ft) with the regular Cayenne, for a difference of just 170.0 litres (6.0 cu ft), which means the new Coupe is almost as practical as the regular Cayenne. 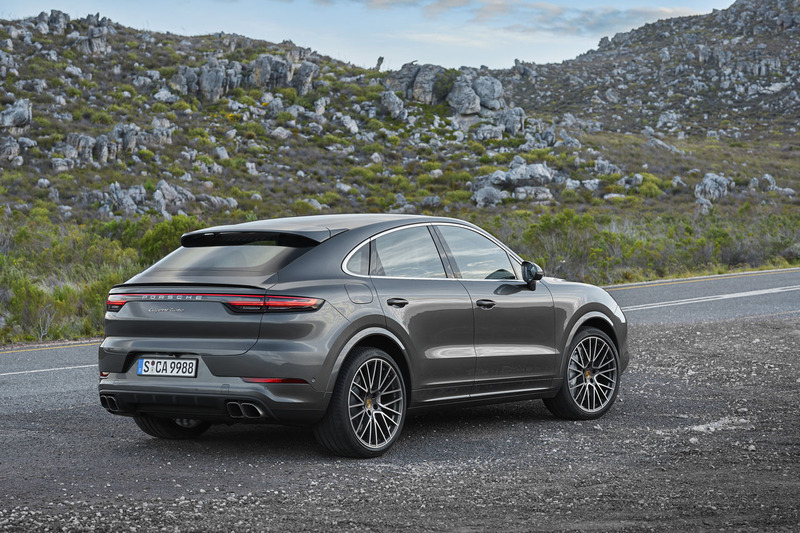 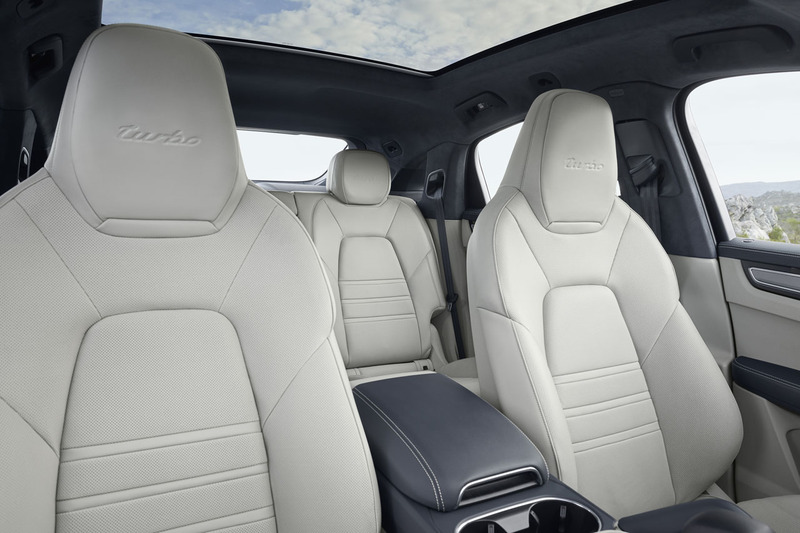 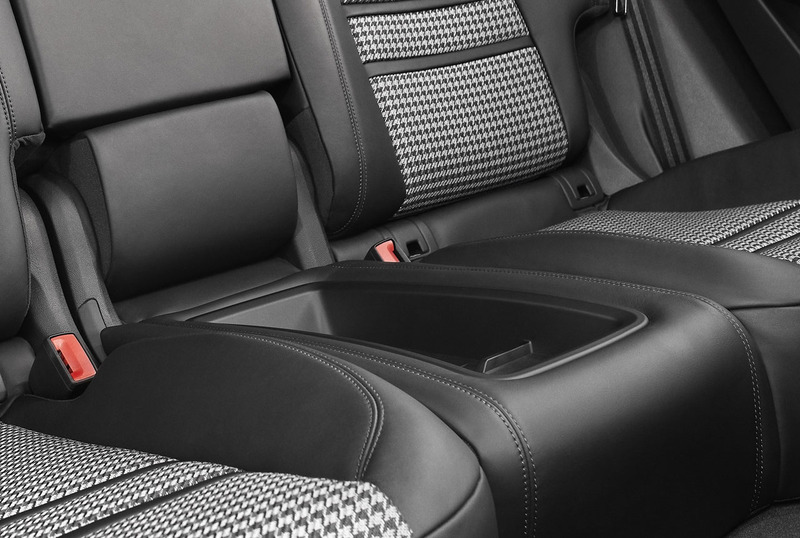 Of note, the Cayenne Turbo Coupe’s cargo capacity drops by 25 litres (0.9 litres) to 600 litres (21.2 cu ft) with the rear seats upright, and by 30 litres (1.0 cu-ft) to 1,510 litres (53.3 cu ft) when folded. 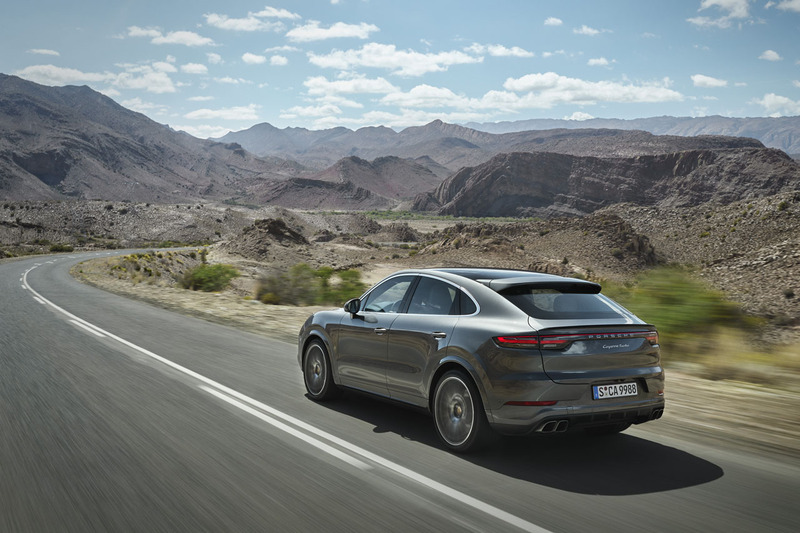 Also notable, current Panamera owners tempted by the new Cayenne Coupe will find 125 litres (4.4 cu ft) of additional luggage space when comparing base models, while those with the Panamera Sport Turismo will gain 105 litres (3.7 cu ft) of extra cargo carrying capacity. 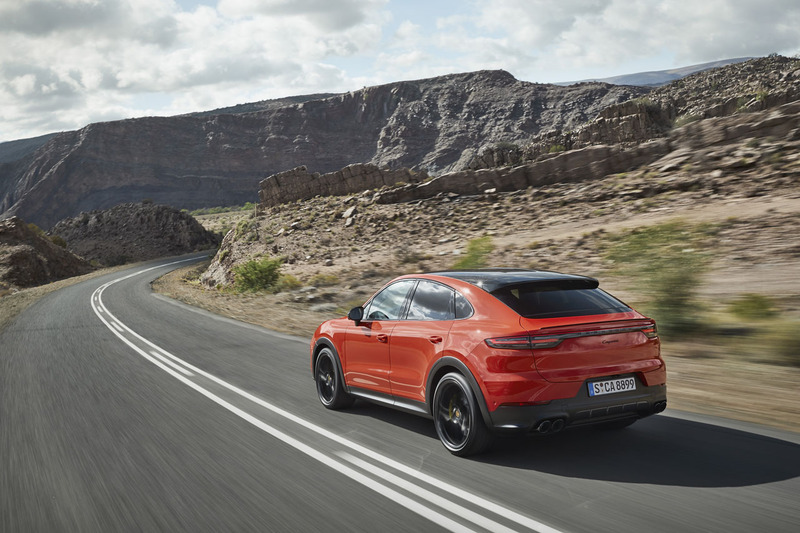 The new 2020 Cayenne Coupe will be arriving in Porsche dealerships later this year, but preordering will make certain you’ll be first in line.